“Ruby Sparks” begins with the most terrifying moment in any writer’s life: the moment of staring down a blank page. It is also an exciting moment, because a story is about to be born. But, it is more terrifying because now you have to think of ideas, and a lot of them will end up being terrifying. If this quirky (that’s a very good word to use here) film does anything right, it is capturing what it feels like to create a unique character, and then have the character and story engulf your own life, and become a part of it. Once you write someone out on a piece of paper, it’s hard to erase them. That’s what Calvin Weir-Fields (Paul Dano) will find out as he crafts his dream woman. Calvin is a novelist who peaks early and has trouble replicating his earlier success. He also has a troubled love life. As in, he doesn’t have one. Calvin’s brother Harry (Chris Messina), who’d have been put to much better use if he served a purpose other than exposition, is there to constantly remind him that he could have a good relationship if he just went to the gym more often. But Calvin’s only company is a small dog he bought to make friends. With great responsibility comes great irony, and the timid dog runs away whenever people try to pet it. In his loneliness, Cal keeps dreaming up a woman. Ruby Sparks (Zoe Kazan), a red head with personality, inexplicably pops out of his dreams and into reality. “Ruby Sparks” rightfully follows the Woody Allen principle, in that it doesn’t try to explain why something so crazy happened. All that matters is how people reacted to it. Imagine if they spent all of “The Purple Rose of Cairo” explaining how someone could leap out of a screen at a movie theater. Likewise, imagine if they spent all of “Ruby Sparks” trying to explain how Ruby came to life. An event like that almost defies all explanation. Luckily, we get none. Unfortunately, Calvin does have to spend a lot of time convincing people that Ruby came from his imagination. Understandable, I guess. “Ruby Sparks” is a fantasy in every sense of the word. Not just because an imaginary person cannot simply come to life, but it is every male writer’s desire to write a plausible female character. But there is a catch to the creation of Ruby. Calvin must write down everything Ruby does, and every emotion that she feels. That might sound like every man’s dream, but it also means that one wrong word can send Ruby into a tailspin. That also happens to be another way that the film rightfully captures the writing process, as crafting a flawless sentence takes more thought than one would ever think. I heard a discussion on a podcast once which postulated that anytime there is a story-within-a-story, the story within must be bad in order to bring out how good the actual story is. I always thought this was a good and logical rule, but “Ruby Sparks” breaks from it and mostly makes it work. Ruby is, by most standards, a good character: she is well developed, unique, and three dimensional. She has quirks and personality that go well beyond the surface. At one point, a certain character tells Calvin that all he really ever wanted was to have a relationship with himself. Calvin at first seems as blank as the Kubrickian white walls of his house. Yet, we find that Ruby is literally a chunk of him unleashed. “Ruby Sparks” is the kind of risky story that Hollywood rarely takes its chances on anymore. Yet, it isn’t totally radical. The idea behind it is a nearly flawless movie concept. When someone asks what would happen if a writer’s creation came to life? my immediate response is what? instead of who cares. 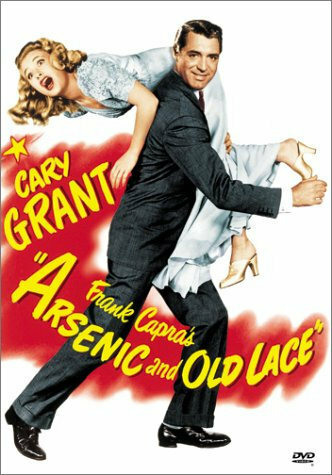 The idea feels a little bit like a throwback to the screwball comedies of yesteryear (in fact, it’s poster feels reminiscent to that of “Arsenic and Old Lace”). A throwback of this kind would include a light-hearted and funny spirit and a smart story. “Ruby Sparks” has the latter but oftentimes, it lacks the former. The main flaw of “Ruby Sparks” is that it sometimes seems to forget that it is a comedy and leans towards too much self-seriousness. I appreciate that it tries to go for a darker twist, but it never prepares us for it. Calvin’s visit to his mother and step father goes on for a little too long, and doesn’t serve much for the rest of the film. However, it was really funny when Antonio Banderas put his glasses on the dog. Things get darkest and strangest towards the end. At that point, it almost lost me. There is a scene that should be there. It shows how Calvin tries too hard to control everything in his life down to his relationships. However, the way that it is presented feels more off-putting than it should. Obligatory mention that Antonio Banderas is the Nasonex Bee. “Ruby Sparks” is the first film that director duo Jonathan Dayton and Valerie Faris have made since 2006′s “Little Miss Sunshine.” Here, they maintain that same attention to little details. Yet, “Ruby Sparks” lacks that same balance of dark humor which separated “Little Miss Sunshine” from every other indie road trip film. “Ruby Sparks” is about halfway to being a dark romantic comedy that comments on romantic comedies that is unlike any other romantic comedy. Zoe Kazan, who plays the titular Ruby, wrote the script. When looking at it through that lens, the film becomes a little more meta, and I appreciate it more. Perhaps the fact that a woman wrote a well thought out male character who wrote a well thought out female character means that perhaps gender doesn’t (or shouldn’t) matter so much anymore in Hollywood. Maybe the whole Battle of the Sexes (another feature of screwball) has finally ended. However, movies would be a lot funnier if kept going on. This entry was posted in Antonio Banderas, Chris Messina, Meta, Movie Review, Paul Dano, Ruby Sparks, Zoe Kasan on August 18, 2012 by ian0592.